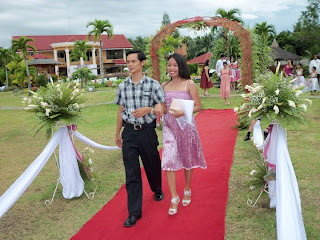 After our wedding almost 5 years ago, at last somebody in our family just entered into a bond of marriage last Saturday (August 21, 2010). 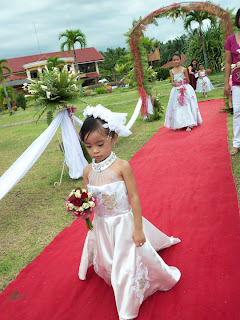 It was my cousin Zeph's wedding. 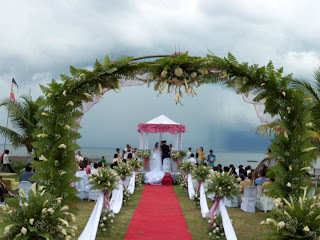 At first the weather was so good and that in the middle of the wedding rites the rain poured down so hard. Whew!!!! such a wonderful blessings they received at that moment. 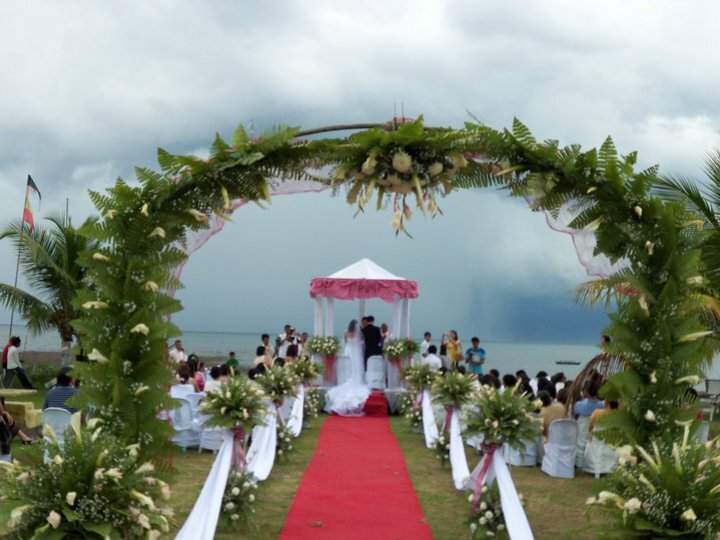 Well, rain or shine it didn't stop us from the ceremony. Thanks God it was just a successful event of them! Congrats and Best Wishes to you Zee and Deo! More blessings to both of you!